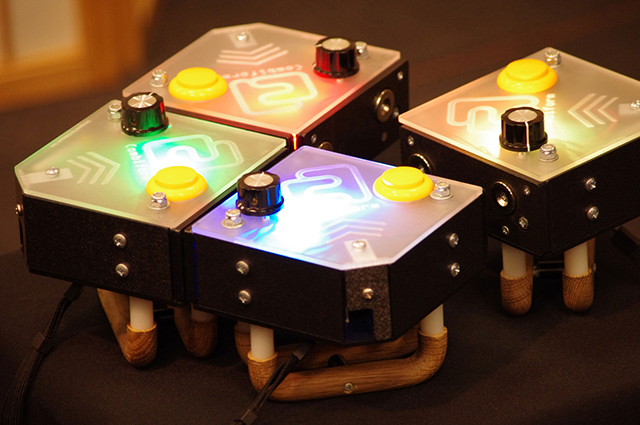 Combiform is a set of new magnetic, combinable controllers. The patented technology give users the freedom to interact face-to-face with opponents rather than focusing on a TV or monitor while gaming. Unlike other controllers, Combiform encourages social interaction by physically combining up to 4 individual controllers to work as a team or sabotage an opponent. 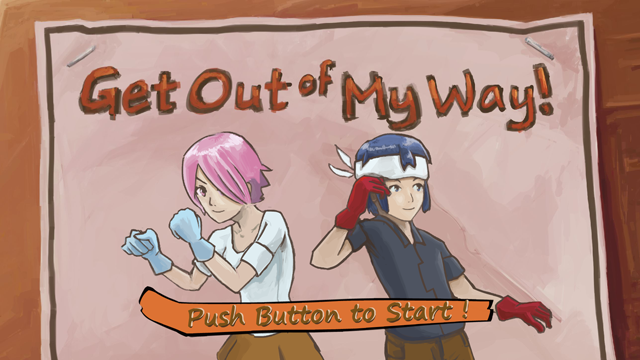 Strategy and timing come together perfectly in Combiform’s newest fighting title, Get Out Of My Way. Unlike most fighting games where players focus on characters battling on screen, GOOMW has players physically face each other in traditional stand-off fashion. 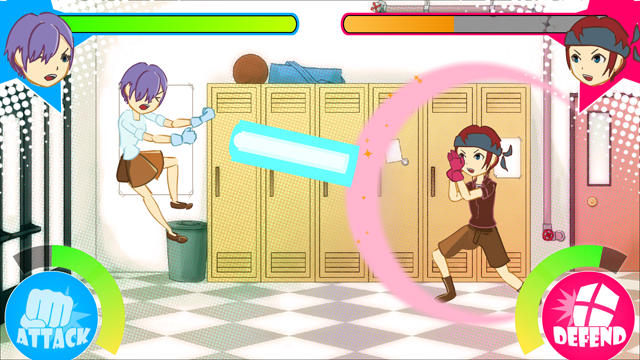 Set in a highschool hallway after bumping into each other, each player holds two Combiform controllers and fights using three “rock-paper-scissors”-like actions: Charge, Attack, and Defend. The strategy comes in closely watching your opponent’s gestures and finding the best times to attack and defend. Will you get to class on time? 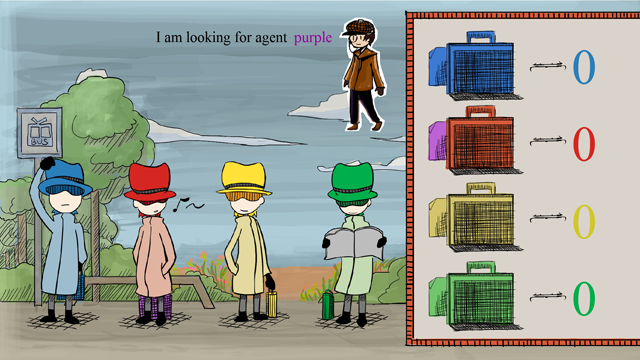 Hot Potato and musical chairs come together in Combiform's Secret Agent Purple. At the beginning of the game, all controllers light up to the corresponding avatar on screen as per usual, except this time one of the controllers is purple. By combining with other players, the color purple can be transferred to their controller, and they will be awarded a Point. The winner of the round is the one who accumulates the most points, however the round will end randomly and the last player to hold the color purple will eliminated from the game. Get as many points as you can, but don't be the last one holding the purple! Concept: Edmond Yee, Programming: Shuang Wu, Art: Mu-fan Wu, Design: Combiform Team. Pop-quiz is a math based game which expands Combiform's demographic versatility. Each player has an avatar color coded to their controllers on screen. 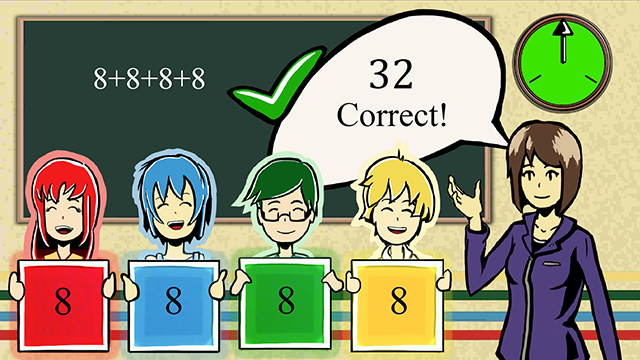 The teacher on screen will put a random number on the chalkboard, and players will each have a number in their avatars answer box. They will then have to find the proper combination of their numbers to equal the number on screen, and then press the button to submit their answer. A round will last one minute, and players will be given a grade based on how many correct answers they had. Players can even choose between addition or multiplication to test their skills appropriately! team: Concept: Edmond Yee, Programming: Jeff Ye, Art: Melinda Yep, Design: Combiform Team. Match! 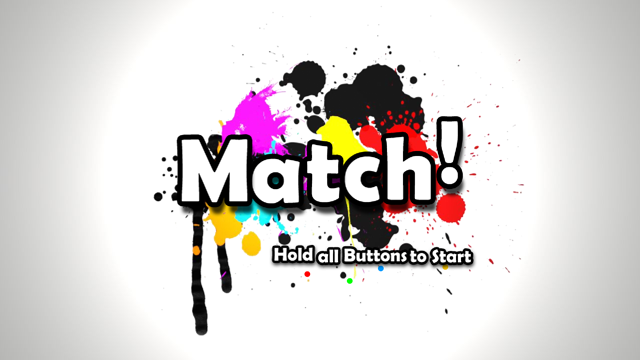 is a color matching game on the Combiform system. Players each have their own controller with lights turned off. Every round, all 4 controllers will light up to the same color, and then turn off after 5 seconds. Players must then use the dials on the controllers to change their color and match the first one. team: Original Concept: Mu-fan Wu, Programming: Shuang Wu, Art and Animation: Edmond Yee. 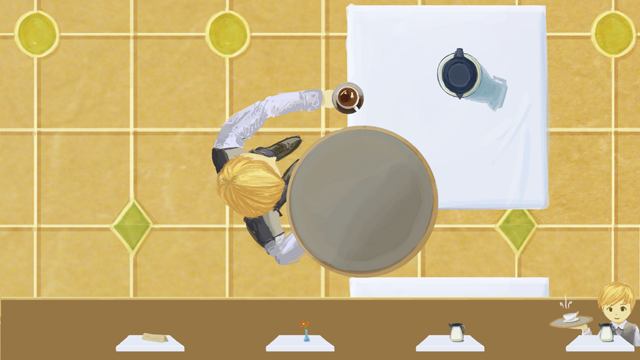 One to four players test their service industry tray balancing skills in For Here, To Go. All Combiform controllers are combined and held at shoulder length to symbolize a waiter's tray. As players walk to serve tables, their drinks will randomly slide around the tray. By counterbalancing the controllers, they can prevent the drinks from crashing to the floor.